It has been an amazing year for awards submissions, and our team have help rafts of businesses with their submissions this year! 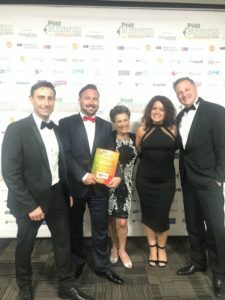 From The Nottingham Post Business Awards, to the national Family Business Awards 2018 in London, we have helped many of our clients to position themselves in the best possible light to obtain many prestigious award. If that wasn’t enough, this evening we have three clients attending the National Family Business Awards 2018 at The Mayfair Hotel in London, and we can hardly contain our excitement! Tina will find out the result at a glitzy ceremony in Leicester on June 26th. If she wins the gong, we will be sure to broadcast it to you all!